Interview with Nathan Jones of Lamb and Lion Ministries – Welcome to I Am a Watchman! In today’s episode, we interview Nathan Jones, evangelist and web minister at Lamb and Lion Ministries, one of today’s leading prophecy ministries. We discuss several prophetic themes, including many of the Bible’s reasons we are to live as if Jesus will return at any moment. 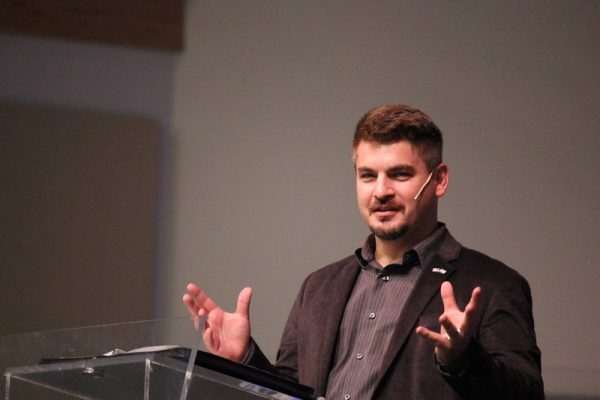 We appreciate Nathan’s expertise and sound biblical teachings regarding the end times. Enjoy this episode and take a moment to learn more about Nathan and his exciting ministry. Podcast on Soundcloud at https://soundcloud.com/iamawatchman/01-17-19-a-view-from-the-wall-interviews-nathan-jones. The I Am a Watchman YouTube channel: https://youtube.com/iamawatchman. Lamb and Lion Facebook Page: https://www.facebook.com/lamblionministries. Lamb and Lion Ministries: http://christinprophecy.org. Lamb and Lion link to “Inbox 21 – Why Do I Believe in a Pre-Trib Rapture?" Join us for all of our latest updates by subscribing now by email and on YouTube.